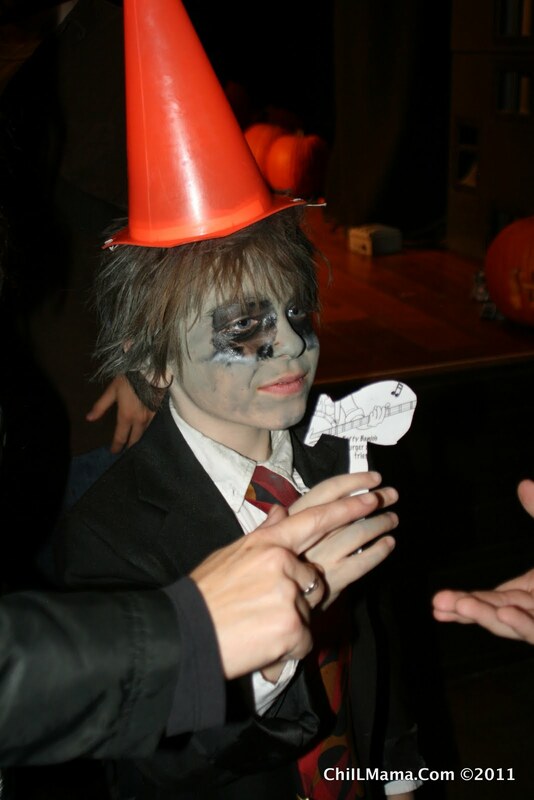 Our friend, Charlie, turned into a zombie and won the Punkin' Prom costume contest at Lincoln Hall with his excellent Plants Vs. Zombies costume! Du-Jay made him a pea shooter. I had the great pleasure of meeting up with the PopCaps peeps earlier this month, for lunch at gorgeous NoMI Restaurant downtown in the Park Hyatt. Next to the theatre, music and arts scene, we LOVE living in the city for the excellent restaurants. Our lunch at NoMI was fabulous! It sounds so Asian and exotic, I never would have guessed NoMI really stands for Northern Michigan! They've redesigned their space and menu to be more contemporary and fun; less stuffy and formal. The chef is the same, and we had a chance to meet him. He reassured everyone that NoMi will retaining their seasonal choices and reputation for excellent dining. Highly recommended. It was a treat to meet Laura Jackson from PopCap Games. She knows the original game inventors and was happy to report that they're still laid back, great guys, despite being multimillionaires after their sale of PopCap to EA Games. We love to hear about those success stories--just 2 young guys in a garage, a great idea, and lot of creativity. When Laura's not educating social media mavens about gaming, she travels throughout Africa and studies native drumming! Here's our photo filled recap from our blogger/press lunch with PopCap Games. It was fun to be seated next to Lucy Lu (No, not that one...Mom of two talented artist kids who won a PopCap's logo contest, drawing unicorns for Peggle.) I asked her how it was sharing a famous name, as we also know a local Pam Anderson and several other movie moniker Mamas. She was super sweet and funny and said she was just relieved that so far the famous Lucy Lu hasn't done anything too embarrassing to smear the name. Could be worse! The lunch was quite an informative, lively round table discussion among top bloggers, and included an official voice from The Academy of Pediatrics. 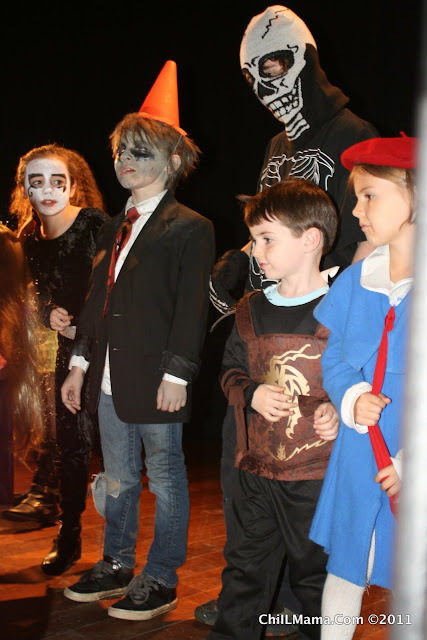 Of course we limit our kids' screen time to 2 hours max (as recommended), once homework and helpful works are done, so we don't end up with glassy eyed, cone headed zombies. However, at 8 & 10 years of age, they both LOVE their screen time and can't wait to relax and play games. We'll be exploring exciting advances in the video game industry, rating labels, 3D games/vision and more, throughout November. My son's rockin' the PopCaps Games and we'll be including full reviews of Bejeweled 3 and Bookworm Deluxe! in our upcoming holiday features. For now, we wanted to get in the spirit of Halloween/Dia De Los Muertos and introduce you to Plants Vs. Zombies, if you haven't discovered it already. 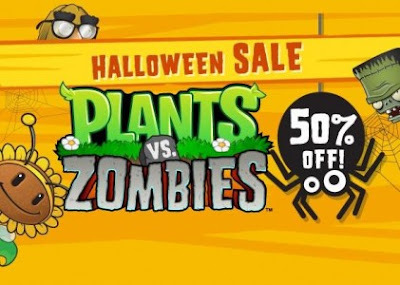 PopCap's Plants vs Zombies has now received a temporary price cut due to Halloween, making the title Half Off on the PC and iPhone/iPad. PopCap says, “It’s like buying the plants and getting the zombies for free”. Act fast though, as the half price sale ends today! 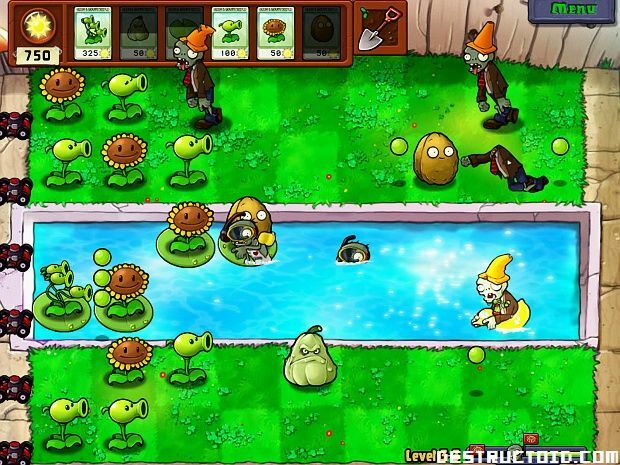 Plants Vs. Zombies is a true winner. 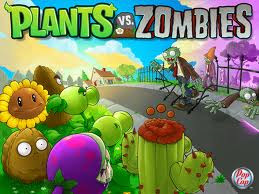 It features fast paced, strategic game play, silly graphics, and best of all, it's even educational! All games are available at major retailers including Wal-Mart, Best Buy, Sam’s Club, GameStop, Target, Amazon, Fry's, Comp USA and online. Price: $2.99 to $14.99 depending on platform. 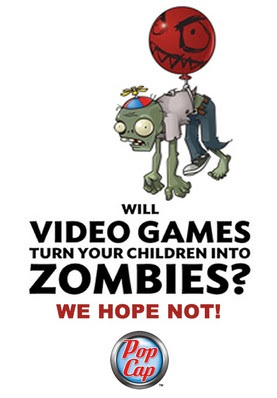 *Disclaimer: We were given free copies of Plants Vs. Zombies, Bejeweled 3 and Bookworm Deluxe! for review purposes.